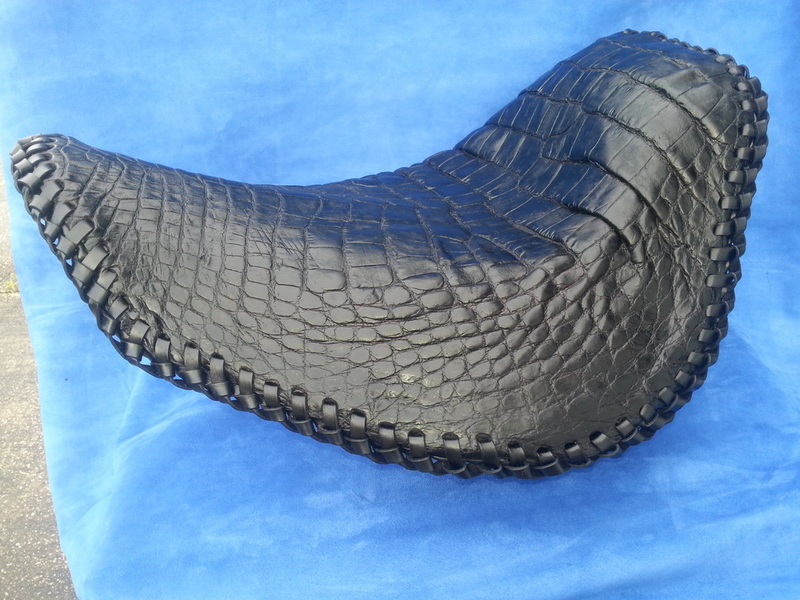 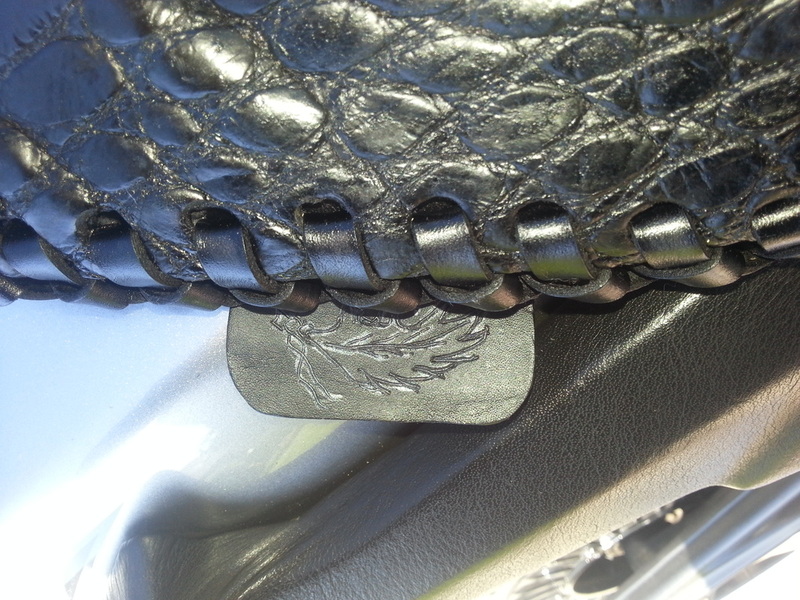 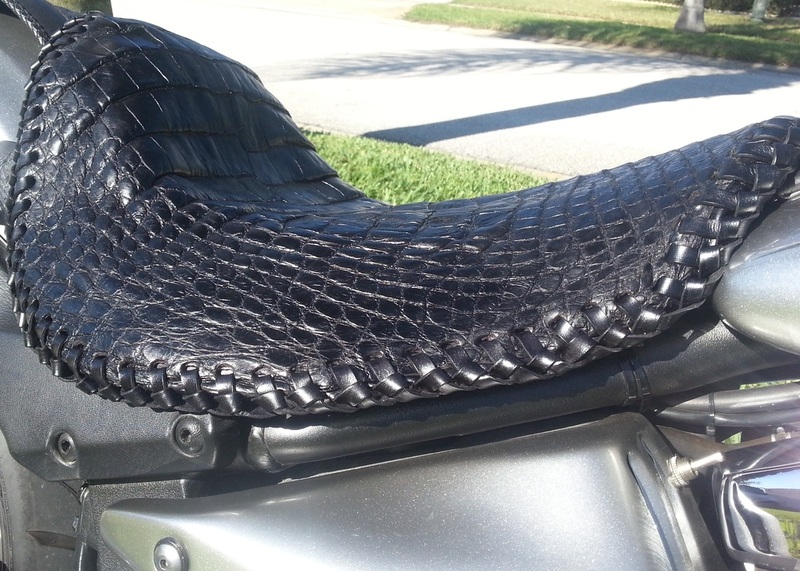 This seat is covered with one piece of alligator hide trimmed in cowhide lacing. 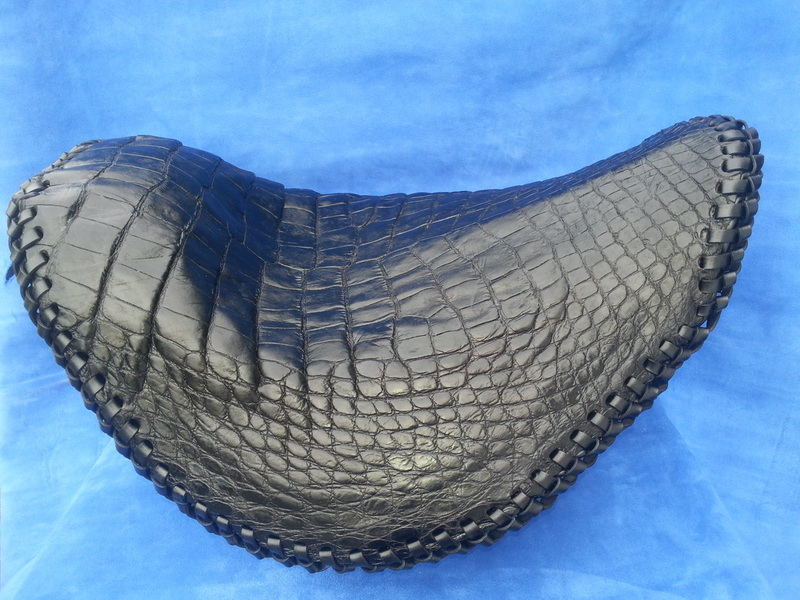 Additional colors available are burgandy, nearly white and golden brown with a possibility of many others. 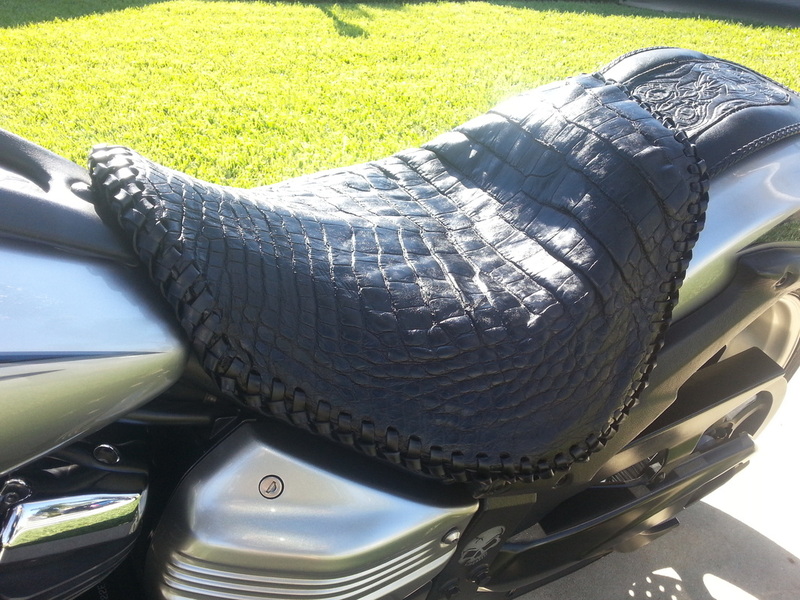 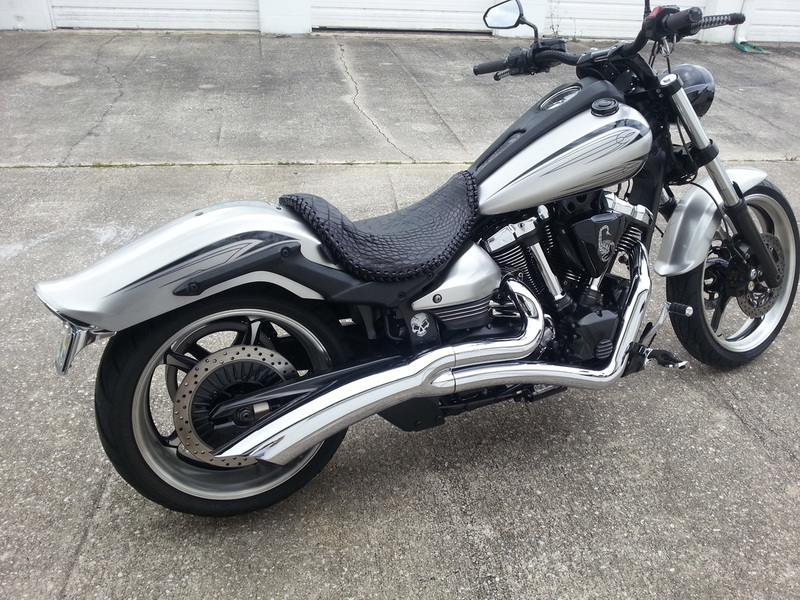 Check out the YouTube video "Custom Raider Gator Motorcycle Seat"